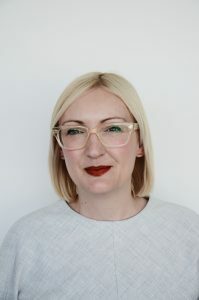 Hill+Knowlton Strategies London (H+K) has appointed Eleanor Sullivan as Director of Creative Strategy. She will work across the company’s eight vertical sector specialism providing purpose-driven narratives with compelling and engaging content. “I’m so proud to join this successful agency in such an interesting role. Creating innovative work that is rooted in data and insight is what I love to do, and I look forward to working with the talented team here,” said Eleanor. Eleanor was most recently the Executive Director of Planning at Golin where she led the creative planning team working across the company’s consumer, social, corporate and technology practices as well as new business. During her time at Golin, she worked across a portfolio that included Unilever, nPower, Merck, ABInbev, Diageo and Mondelez. Some of her previous projects have included integrated global planning for Magnum, a strategic approach to corporate storytelling for Merck, and driving brand loyalty for Cadbury brands. “Eleanor will support creative strategy and planning for our clients, ensuring our data-led approach to creativity is evident in everything we do. I am delighted to welcome her to the Center of Creative Strategy based here in London.” said Simon Shaw, Chief Creative Officer of H+K London. Eleanor will work on significant and strategically important H+K projects to champion the agency’s creative process and ensure ideas are rooted in a data-led approach.